The rest of this pamphlet’s title is: A Quince Paste from Paris, 1393-1394. Not a recipe collection, this is an example of how to meticulously reconstruct a medieval recipe for a type of quince marmelade, from researching each of the ingredients to analyzing in depth the multiple translations of the recipe. 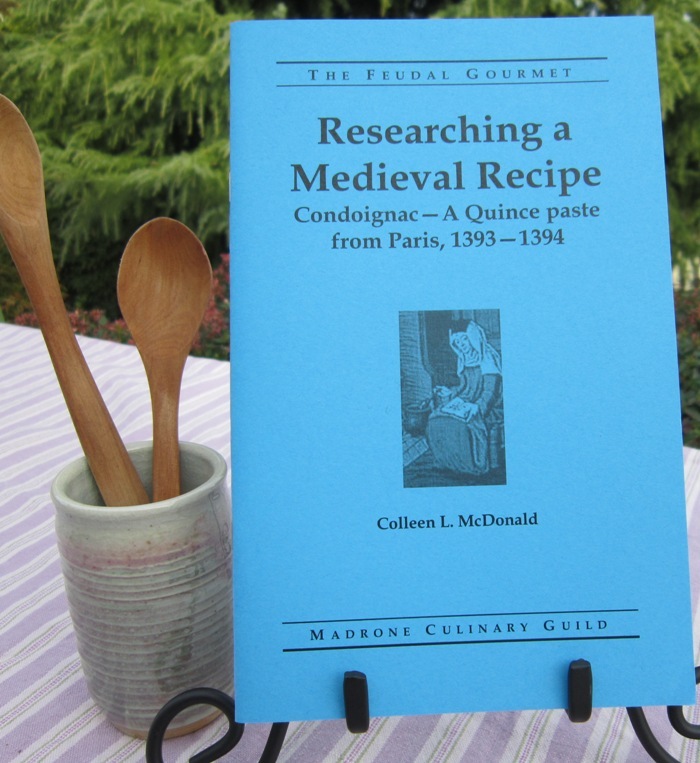 Includes detailed step-by-step instructions for making Condoignac.